A vintage vibe brings pretty colors and prints from QT fabrics to your sewing room! ©Dan Morris has brought his attention to detail and creativity to our favorite past time. Rulers, dress forms, thread and sewing machine designs are available in great colors and sizes for sew many projects. 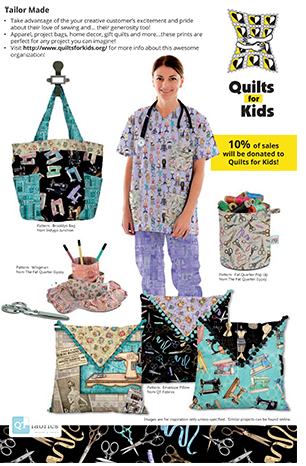 Even better, 10% of all sales of this collection will be donated to Quilts For Kids! "We are so excited about our partnership with a highly needed and loved organization called Quilts for Kids! We feel that Mod Nouveau is a gender neutral collection and our best choice to most greatly benefit Quilts for Kids and its projects." Mod Nouveau, fuses Mid Century Modern and Art Deco styles to create a modern yet eclectic approach to Home Sewing. Pastels are available now; exciting prints will be coming in June. One of our long-term partners, Timeless Treasures has produced some of the most whimsical prints and bright solid complement fabrics ever. These cheerful prints and exciting colors have have brought smiles to the faces of many of the children who receive QFK comfort quilts. Imagine getting a surprise package on your door step each month filled with the latest notions, fabrics, threads, patterns and everything "quilty." That's what a subscription to Quilty Box can give you. Mission: To provide inspiration to the quilting veterans, engage the quilting beginners, expand interest in the art of quilting, and give back to those in need. 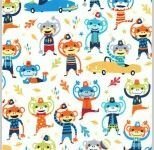 Five percent of profits from multi-month subscritions benefits Quilts for Kids! Michael Miller was born in the spring of 1999, the brainchild of Michael Steiner and Kathy Miller. Two parents brought together not by love and marriage but solely by professional respect for each others' abilities. 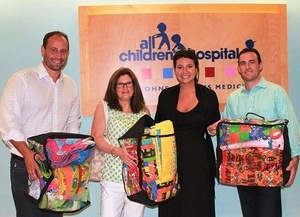 By leveraging their lives for an SBA loan, borrowing money from family and living on credit cards, Michael and Kathy were able to give birth to a start-up fabric company called "Michael Miller Fabrics". 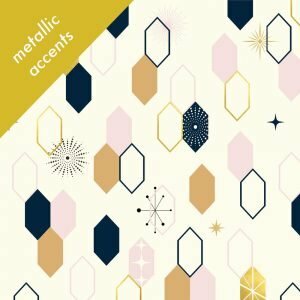 Moda has been in the quilting and fabric industry since 1975 and are constantly striving to bring you the latest and greatest in both our fabrics and other quilting and home products. Please visit the Marie Bostwick Shop. This is the place to find unique t-shirts, mugs, tote bags, and other goodies with logos and quotes from Marie Bostwick's Cobbled Court Quilt series of books. In the spirit of community that caring that epitomizes Cobbled Court books, 100% of the profits from your purchase will be donated to charity, shared equally among The National Domestic Violence Hotline, The National Down Syndrome Association, Quilts for Kids, and Freedom Service Dog Foundation. 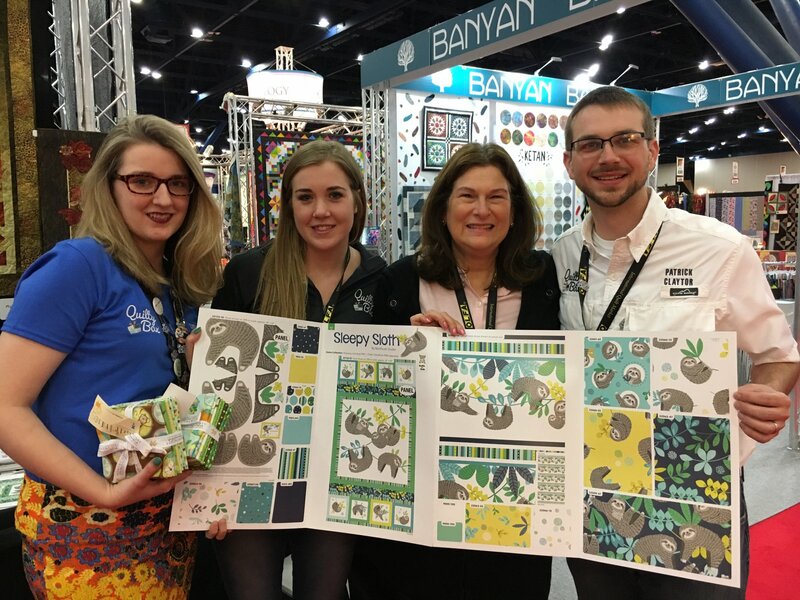 The leading innovator in the areas of quilting, crafting, sewing and fiber art for 50 years, Pellon has partnered with Quilts for Kids, Inc. and is looking forward to finding ways to help us comfort children in need. Their recent large donation of top-quality batting will go a long way towards that goal. 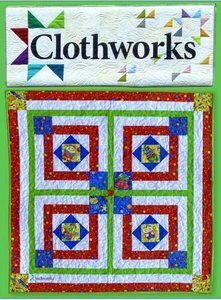 “Our objective at Clothworks is to provide you with a diverse range of designs, styles, themes, and colors that will appeal to a multitude of quilters." The quilt pictured here was designed and made by QFK staffer, Nancy Lacey. 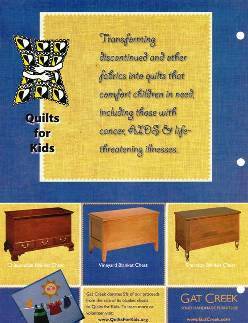 Gat Creek, kindly donates 5% of its proceeds from the sale of its blanket chests to QFK. To learn more, visit http://www.gatcreek.com. 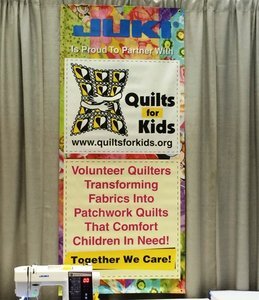 A GREAT BIG -Thank you to Juki America, Inc. for donating TEN sewing machines to Quilts For Kids headquarters! We can’t wait to use them at our special workshops. From the moment Ellen Kravet heard about the formation of Quilts for Kids from founder, Linda Arye, she was on board…literally, as QFK’s first board member. 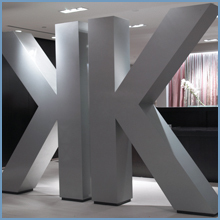 Just as the Kravet family’s commitment to innovation has helped the company transform from a small family-run fabric house in 1918, to a global leader in today’s home furnishings industry, their commitment to making a difference in the lives of children has benefited Quilts for Kids enormously. Robert Kaufman, a leading fabric supplier to many industries, including retail and quilting, has been a long-time supporter of Quilts for Kids. 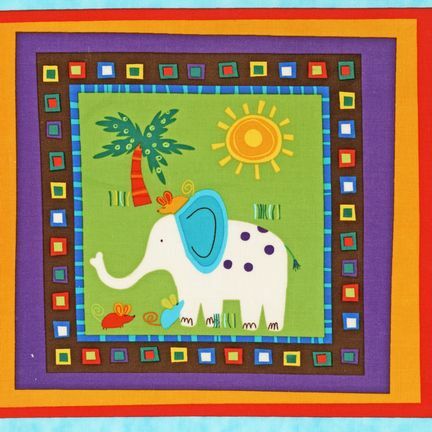 In fact, designer Amy Schimler’s “Animal Party” fabric has been incorporated into many, many quilts that turn tears into smiles for children in need. 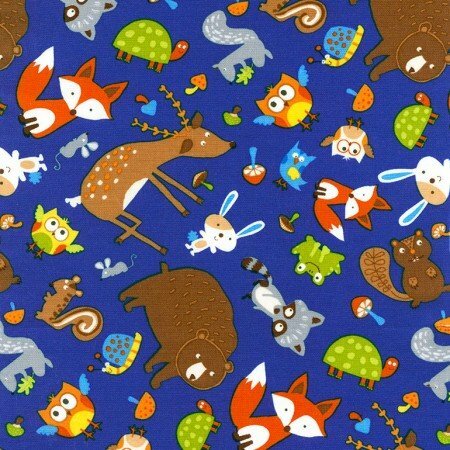 In addition, the charity receives a portion of the proceeds from the sale of “Animal Party” fabrics. They proudly focus on fresh, new designs from an extensive list of creative professionals and are delighted to give back to their communities by supporting charities who turn Northcott fabrics into quilts and pillowcases to comfort children and veterans. Their cotton prints can be found in stores and quilt shops around the world. 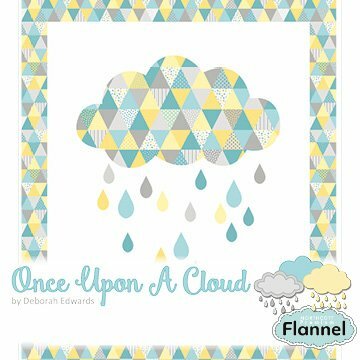 Pictured here is the newest Northcott fabric line for Quilts for Kids, "Once Upon a Cloud," by Deborah Edwards. For a closer look at all they offer, please visit Northcott. 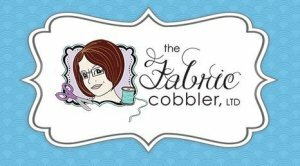 Please join us in giving a warm welcome to our newest partner, The Fabric Cobbler, LTD.
We are extremely grateful and over-joyed to have received thousands of pounds of kid-friendly fabric in every them you can imagine, keeping staff and volunteers busy organizing for days. Please visit Scarlett's website to learn more about her fascinating life and business dream-come-true.